Purpose - of this project is to produce a pool of professional youngsters who are equipped with relevant skills that are able to address the needs of their immediate communities and also being able to come up with innovative ideas towards addressing their socioeconomic needs. The idea is to open a career centre offering career development and guidance that is focused on the needs of the local labour market. The content that will be developed at the career centre is aimed at addressing the gaps in care exploration and development for the school leavers. This centre will be employing youth with different technical and professional skills who will be instrumental in guiding youngsters especially from the disadvantaged backgrounds like the informal settlements and rural areas within Kenya. Goal - to enhance the acquisition of market orientated skills for the youngsters that will guarantee an opportunity of employment after school at the same time create a source of regular income for the youngsters who will play a pivotal role in the implementation of the career centre activities at the same time creating employment opportunities for other youngsters who will access employment in the centre. Partners - local universities and technical institutions, community based organizations, non-profit organization and organizations working with people with intellectual disabilities. VACK will play a key role in hosting the career centre. 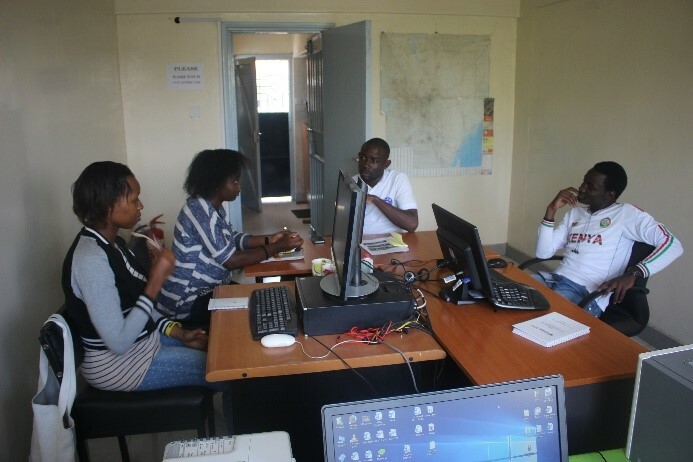 Results - an equipped Career Centre ready to address the needs of the youths, active website and a mobile application to reach the many youngsters in Kenya who have access to internet services across Kenya. Effects - enhancing awareness among the youngsters on available career options and how well they can be relevant in the labour market. Ease of linkage between skills available and opportunities in the market. Reduction of social upheavals since many youngsters will be actively involved in societal development.